HPE has finally joined the single socket AMD EPYC bandwagon. With the introduction of the HPE ProLiant DL325 Gen10 HPE is finally bringing a single socket AMD EPYC 7000 series platform to the ProLiant line. Previously, HPE had the CloudLine CL3150 as their single socket AMD EPYC launch system. The CloudLine is a set of HPE servers that use industry standard IPMI and BMCs instead of iLO management. For almost a year we have been waiting for HPE to ship a single socket ProLiant with EPYC and that time has come. HPE is using a 1U single socket platform with 10x front panel NVME drives. Dell EMC has been seeing great success with the Dell EMC PowerEdge R6415 line which is also a 1U single socket AMD EPYC 7000 series platform with 10x NVMe drives. Until the announcement of the HPE ProLiant DL325 Gen10 the only system that HPE had announced with AMD EPYC was the HPE ProLiant DL385 Gen10 which is a dual-socket platform. 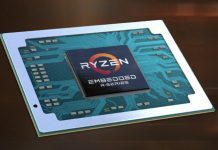 AMD has a particularly strong single socket value proposition that we highlighted in our piece AMD EPYC’s Extraordinarily Aggressive Single Socket Mainstream Pricing piece. 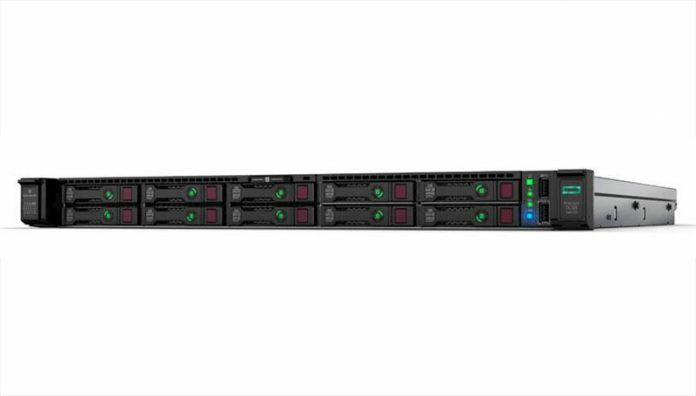 The HPE ProLiant DL325 Gen10 server incorporates up to 32 AMD EPYC 7000 CPU cores, 2TB of RAM, and up to 40TB of NVMe storage. This is all possible in a single 1U chassis. Even with the single socket solution, the company claims that the HPE ProLiant DL325 Gen10 delivers up to a 27 percent lower cost per virtual machine (VM) dual Xeon solutions. It even has a SPEC CPU2017 results available with the AMD EPYC 7551P configured for maximum value in the platform. The new HPE servers are set to ship in July 2018. You can learn more about the platforms here.